Looking into Missouri National Recreational River. 59 miles of paddling available on the scenic Missouri River from Yankton to Ponca State Park. 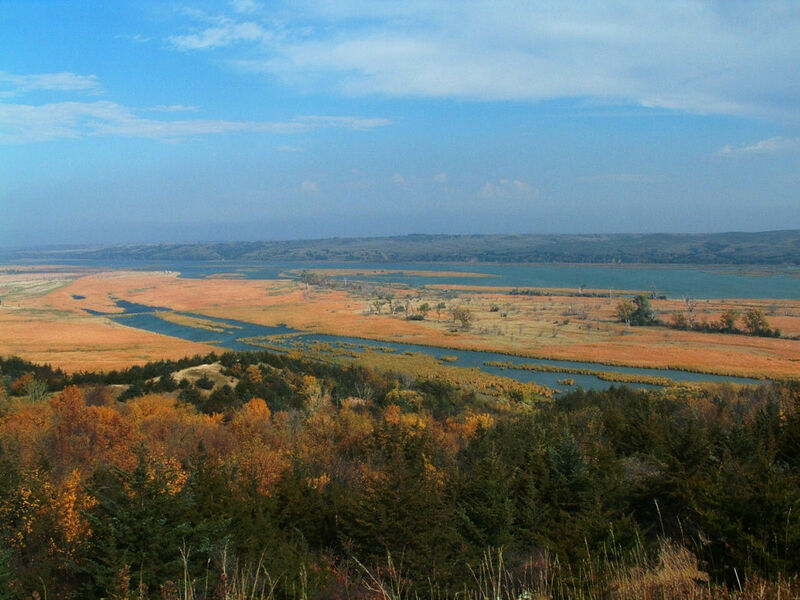 A full 59 miles from Yankton to Ponca State Park can be paddled. However journeys as short as a few miles or as long as a full multi-day trip can be customized using different put in/ out points on the river. The river flows at 3-5 mph and a paddler can travel a good bit faster than this. The Missouri National Recreational River offers almost 60 miles of river from below Gavin's Point Dam west of Yankton, South Dakota to Ponca State Park, on the Nebraska side of the river northwest of Sioux City. The upper portion from the dam site to Yankton is well developed and makes for a great day trip. The wide range of put in/ take out points give paddlers many options to enjoy the day. A family looking for a quick afternoon float will like the developed portion from Gavin's Point back to Yankton. Those with experience and wanting to enjoy the wilderness can combine a kayak trip with some primitive camping. The undeveloped sections from St. Helena to Ponca State Park are perfect for exploring and camping. Wildlife and a wide range of scenery from lowland flats, sand bars, and woody chalkstone cliffs give this area natural charm. Any skill or experience level could have a great time here. Rent a kayak from one of the outfitters near Yankton to have an afternoon float on a nice summer day, or plan your multi-day trip starting near Yankton and continuing the 59 miles to Ponca State Park and load up the packs for a challenging multi-day camping trip.